You've probably noticed that this can either be one word (awhile) or two words (a while). Do you know when to use each one? Do you know which one to use after a preposition like for or in? Here's the scoop! When a while is two words, a is an adjective and while is a noun meaning "a period of time." Since while is a noun, we can use this two-word version after prepositions. We watched the show for a while. 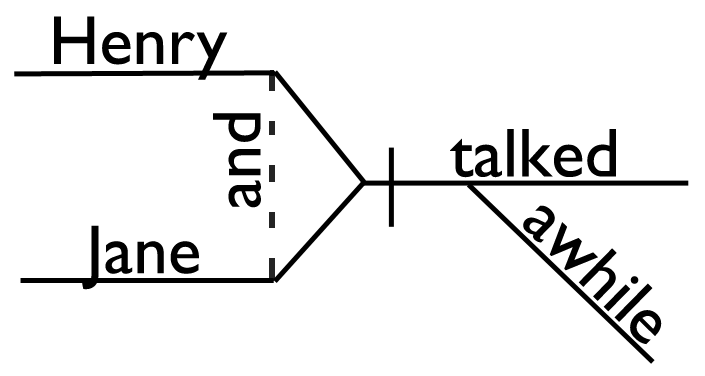 Here are sentence diagrams of those two sentences. 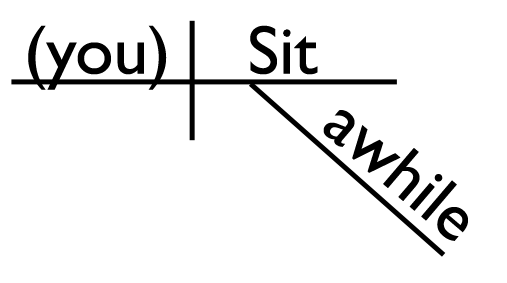 You can see that the prepositions (for and in) are on slanted lines and the object of the preposition (while) is on a horizontal line after it. For a while and in a while are prepositional phrases. 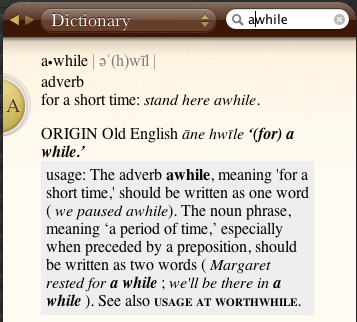 When awhile is one word, it is an adverb that means "for a short time." Awhile is an adverb. Since prepositions need an object of the preposition after them (a noun or pronoun), this one-word version is not the correct choice after a preposition. You need the two-word version after a preposition. Now you're probably wondering when you would use awhile. Well, it's an adverb, and remember that adverbs modify verbs, adjectives, and other adverbs. With this particular adverb, I can only think of examples of it modifying verbs. Henry and Jane talked awhile. The adverb awhile is modifying the verbs sit and talked. We diagram adverbs on slanted lines under the words they are modifying. 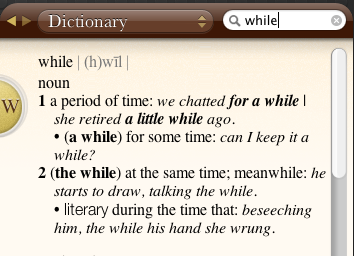 I know it's a bit confusing because the definitions for while and awhile are very similar. Just try to remember that awhile is an adverb and while in the two-word version a while is a noun. Using Get Smart has helped us to understand the English language so much better. Mrs. O'Brien explains things so clearly and repeats information at just the right amount. The video lessons are short and to the point. The layout of the workbook is conversational and easy to understand with plenty of examples. We love it! 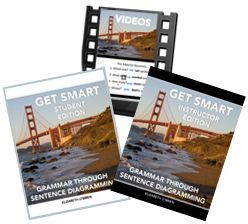 Teach or learn grammar with our most popular grammar course. We love this program! I cannot tell you how crazy impressed I am by how professional it is. My kids, who were not looking forward to this at all, went nuts after watching the first video. They loved your energy, and consequently they did not miss a single lesson even though I never reminded them to do anything.